"She was shocked," Jacob Newbern told "GMA." A man recovering from paralysis has stood up for the first time to propose marriage in a seriously heartwarming moment that was captured on video. 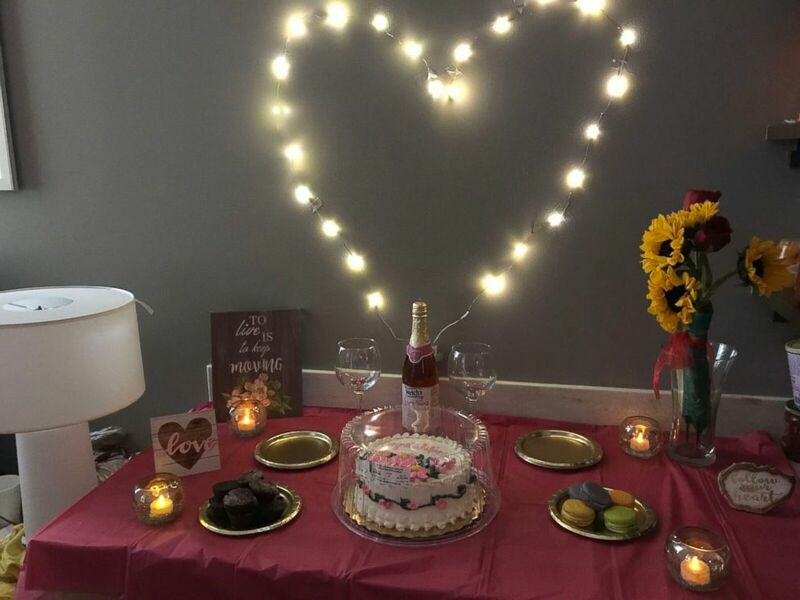 Jacob Newbern, 27, popped the question to Mary Batar on Monday at HCA Healthcare’s Orange Park Medical Center Inpatient Rehabilitation Center in Florida -- one day before returning home from the hospital. "She was shocked," Newbern told "Good Morning America." "It was my very first time standing up completely by myself. I'm surprised she didn't drop down to the floor. She was so excited." Newbern was diagnosed last month with Guillain-Barre Syndrome (GBS) -- a rare neurological disorder in which the body's immune system mistakenly attacks part of its peripheral nervous system. Newbern completed 22 days of rehab at HCA Healthcare’s Orange Park Medical Center Inpatient Rehabilitation Center and made a quick recovery. 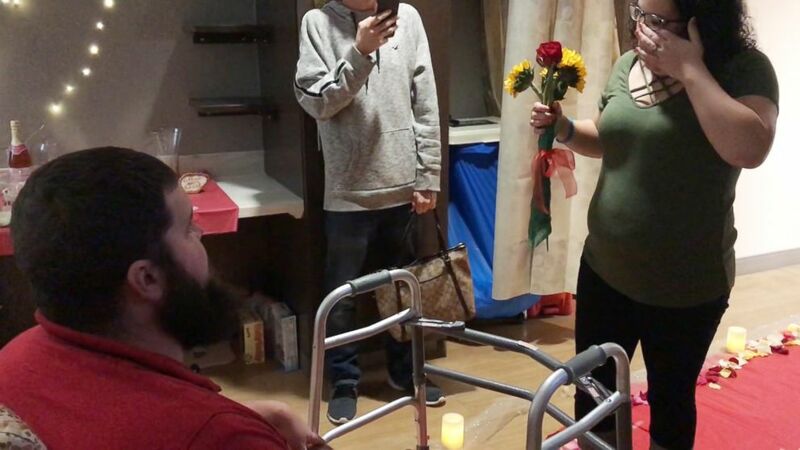 (HCA Orange Park Medical Center) Jacob Newbern, 27, popped the question to Mary Batar on Monday at HCA Healthcare's Orange Park Medical Center Inpatient Rehabilitation Center in Florida. "[He's doing] phenomenal," said Dr. Ronnie Bond, the neurologist who treated Newbern at HCA’s Orange Park Medical Center. "For him, he was progressing way more than I would expect. With this disease it can take months before there's any type of recovery." Newbern said that after Bond told him about the long recovery associated with GBS, it motivated him to persevere. "I looked at Dr. Bond in his eyes and I said, 'I plan on walking in two months,'" Newbern recalled. "I was 100 percent dedicated." (HCA Orange Park Medical Center) Jacob Newbern, 27, a patient at HCA Healthcare's Orange Park Medical Center, poses in an undated photo with neurologist Dr. Ronnie Bond. "You can tell by her face she was very shocked," Coach Nafis Pickett told "GMA." Kolbie Sanders, 24, of Texas, gave the the generous gift to Halie Hipsher. Newbern worked daily to regain mobility and even took 68 steps during a session, he said. 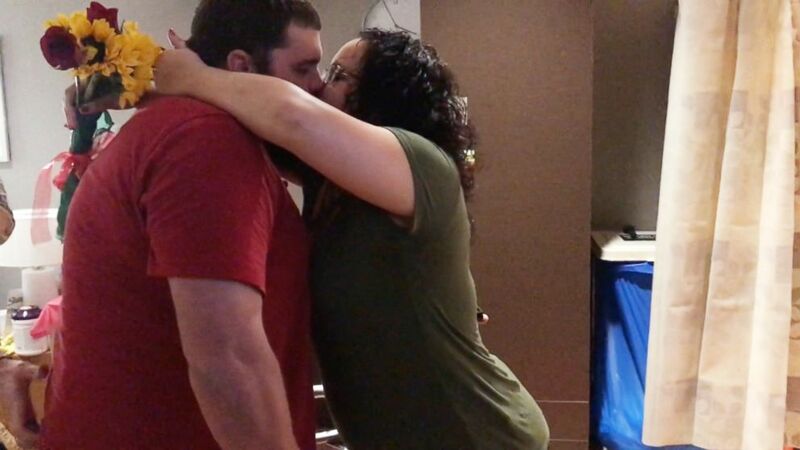 Then yesterday, Newbern surprised Batar by not only asking her hand in marriage, but doing so while standing independently for the first time in nearly a month. 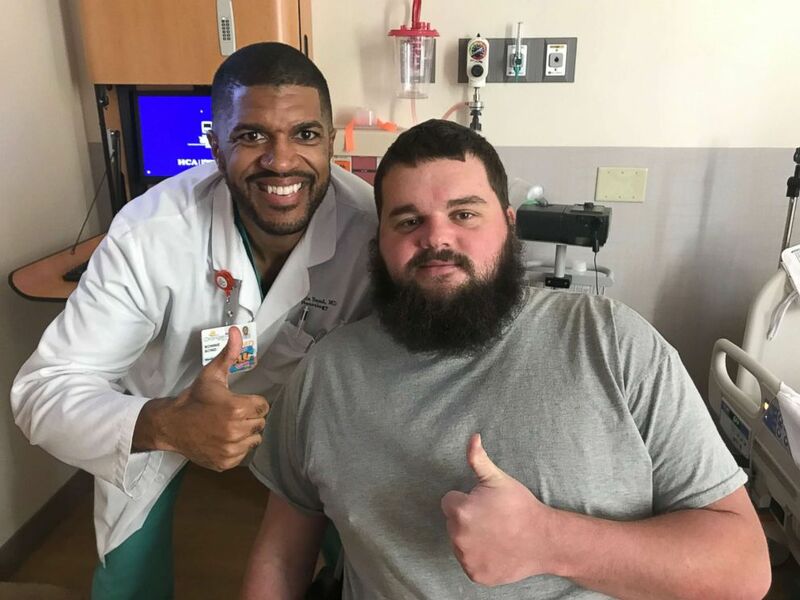 (HCA Orange Park Medical Center) Jacob Newbern, 27, was diagnosed last month with Guillain-Barre Syndrome - a rare neurological disorder in which the body's immune system mistakenly attacks part of its peripheral nervous system. Newbern said this journey with Batar and her positive attitude was one of the many reasons why he proposed. The couple have been together for five years and have 10-month-old twin girls, Kallie and Kinsley, as well as a 3-year-old daughter, Braelynn. (HCA Orange Park Medical Center) Jacob Newbern, 27, popped the question to Mary Batar on Dec. 3, 2018, at HCA Healthcare's Orange Park Medical Center Inpatient Rehabilitation Center in Florida. "I've seen my worst and I've seen my best and she's been there with me the whole time," Newbern said. "She's very strong. Any woman that can deal with three kids, two newborns and a 3-year-old...with all the stress that she's got on her and still being able to come in here with a smile on her face, I just can't believe that." Newbern is being discharged today and will continue improving through outpatient therapy. He hopes to spread awareness and help others catch the early symptoms of GBS.